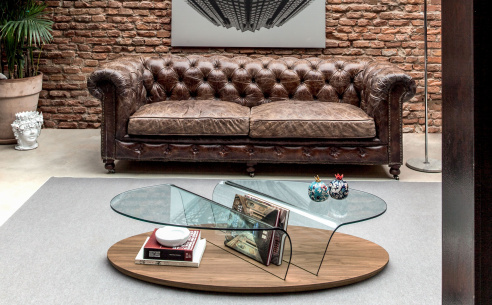 Stylish and wonderfully contemporary oblong coffee table designed and crafted with imagination and innovation. The singular design sets this piece out as a focal point in any room. 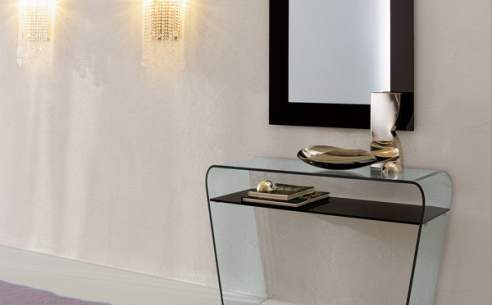 The tempered glass top curves over a superbly crafted wood or glass shelf offering a touch of functionality to an already aesthetically pleasing piece.